October 29, 2002, with Kenneth Topping at Westway Diner - Restaurant, 212.582.7661, open 24 hrs, 614 Ninth Avenue (between 43rd and 44th Streets), NYC, over Breakfast, prior to the Martha Graham Contemporary Dance Company's first NY Season, since 1999, to occur in January, 2003, at the Joyce Theatre (www.joyce.org). Kenneth Topping is the subject of this Inside Perspective. REZ — I have a rave New York Times review here of your October, 1990 performance in Acts of Light, music by Carl Nielsen. A sensual duet with Maxine Sherman. Tell me what it was like to know and dance for Martha Graham. What was her method of communication? How did she model the movement? She was already 96 then, a few months before her death. KT — When I first began my dance training in college, the idea of dancing with Martha Graham was relegated to my fantasy/dream world. I also feared that I had started my training too late in life at the age of 19. Fortunately I was wrong on both counts. When I came to New York to enroll in the Graham School's Summer Intensive program in 1983, the pathway toward my future became visible. Martha Graham was 90 years old when I came to work with her. I joined the company quite inexperienced with just four years of training. I was terrified at the prospect of being in the same room with Martha Graham, let alone working under her direction! The studios in which we worked with Martha had a sense of continuity and unbound energy. One of the first impressions I had when I first joined the Company in 1984 was how the dancers rehearsed at an incredibly high pitch as though they were in performance. Martha demanded that we always danced full out. There was fierce competition among the dancers for Martha's approval, recognition, and validation. Working with her was like being caught in a storm in which conflict and friction arose between dancers and were even instigated by her. The tension created by these conflicts served as a source of energy for Martha, for her dances, and served to enhance the determination in the dancer to dig deeper to give Martha exactly what she wanted. This was a method she used to bring out something in her dancers that may not have emerged without such prodding. If you wanted Martha Graham to use you in her dances, you had to dance with ferocious self-conviction and physical daring. Before most rehearsals of a new work, she would speak for about 20 minutes elaborating on the ideas of the dance or simply about the struggle she was having in her creative process. I always thought that if she hadn't been a dancer, she would have been an actress, a sculptor, or a poet. She was captivating to watch and to listen to. Because the dancers in the company learned her technique, the special language of movement unique to Martha Graham, she encouraged us to improvise movement that she would then adapt to her ideas. REZ — How do you feel about Louis Horst's scores? Graham believed that dance should drive the music, not music drive the dance, so she commissioned new scores from many composers like Horst. KT — Louis Horst was Martha Graham's mentor whom she met at Denishawn. He came to New York with her and composed music for many of her early works that are now considered classic Graham works. I think his music beautifully compliment Martha's dances in that his compositions reflect her stripping away of ornamental design to reveal the core theme or emotion. Martha Graham said that she choreographed the majority of her dances before using the music. She said the music is a "setting for the dance." REZ — Do you still use stretch jersey, Graham's chosen material? KT — It's not necessarily her "chosen material". She had many creative "periods" and one of them is what she called her "long woolen period". One of the dances that came out of this creative exploration is her classic solo Lamentation. REZ — Graham spoke of the distillation of raw emotions—love, hate, jealousy, fear—timeless and recognizable. What is your method of locating the physical source—to express these emotions effectively in dance? KT — Training to be a Graham dancer is a process of exploration and development that works on many different levels. One thing to always keep in mind is that Martha Graham began working on her own dances when she was 30 years old. She created some of her most powerful and timeless works when she was in her 40's and 50's. So, the movement language and subjects of her dances came out of a woman of maturity and deep passion. It is difficult to expect a young, inexperienced dancer to be able to fulfill Martha's dances in the way that she intended. She said, "It takes 10 years to make a dancer". During these ten years of development one is studying, performing, and cultivating his craft. People often talk about this "raw emotion" that Martha revealed in her work without realizing that it is inextricably bound to the body's experience of deep and extreme physicality. In working at this physical extreme and daring, the dancer discovers the spectrum of emotions that are possible. So it is through the physical experience that one reaches the "raw emotion", not the other way around. Martha worked in these terms. As a consequence of this kinetic journey, the dancer's imagination and memory are sparked and drawn upon in developing a character. She encouraged reading the Greek plays, American poetry, and myth of all kinds. The resources from which the performing artist draws inspiration in developing a character, mood, or emotional landscape are many - life experience, other art forms, memory, intuition, etc., but it all begins in the actual physical doing. Sometimes in rehearsal when Martha grew frustrated with what she saw as a dancer over-analyzing movement or character, she would demand, "just do the movement, don't think about it!" REZ — Do you actually teach the Greek mythology, so inherent in many of her works? Phaedra, Medea, Clytemnestra? As history, literature, psychology? KT — The Martha Graham School schedules Dance History classes during our intensive workshops. These classes focus on various periods of Martha Graham's artistic journey and are taught by Dr. Ellen Graff, Director of Programs at the School. REZ — Are you rehearsing the Company, in the School, to eventually mount most of her 181 works? What is the lineup for January at the Joyce? KT — Christine Dakin and Terese Capucilli, Principal dancers and Artistic Directors for the Martha Graham Dance Company are creating the two-week program at the Joyce Theater (January 21-February 2), which promises to include a wide range of Graham repertory from the 1930's through the 1990's. REZ — Do you have ballet collaboration, just as Graham brought in Baryshnikov and Nureyev? Do you collaborate with former dancers of the Company, such as Twyla Tharp and Paul Taylor? Choreographers outside of Martha Graham such as Twyla Tharp, Susan Stroman, Robert Wilson, Lucinda Childs, and Maurice Bejart have all choreographed or set works on the Graham Company in the past. The vision for the future will most likely include choreographers whose work ignites the imagination and aesthetic sensibility that is part of the Graham tradition. REZ — How do you teach "straight spine" and "contraction/release", Graham's hallmark methods of modern dance form, passion from the inner body? KT — The best way to find the answer to this question is to encourage anyone interested in this experience to come the Graham School and take a class. Again, it's a physical knowing, a kinesthetic experience that will lead you to the "inner", emotional reality. Martha Graham said, "Strength of body, freedom of body and spirit, and spontaneity of action are the purposes of studying Technique." REZ — Graham felt ballet was a source of comfort, and modern dance was a source of understanding and disturbance. Many of her dances were originally seen as shocking the senses or eliciting engagement with the audience. Are you in agreement with these standards? How do you teach your dance students to elicit engagement with the audience? KT — It's an historical fact that in the beginning Martha's work was viewed as shocking and even ugly. She broke the mold. She dared to present Dance Theater whose primary goal was not to entertain, but instead to provoke thought and imagination, to reveal all aspects, both light and shadow, of the human experience. And she did it with a movement language that was startling, stark, and new. I often compare Martha's discovery of bodily expression to Freud's discovery of the unconscious - both revealing what Martha called "the inner landscape of the human heart". The dance student works to narrow the focus to the now, to the moment. He or she works to be 100% committed to the movement a given instant. If the dancer is committed and engaged and is truly experiencing something himself, the audience will follow. Martha said, "There must be something that needs to be danced." Another words, if the dancer does not possess something in the regions of his psyche, spirit, and body that necessitates physical expression, then there is nothing behind it to drive it into being. It is that drive behind the expression that Martha looked for. The audience can sense the presence of that underneath layer. One of the challenges in performing Martha Graham's dramatic work is to make it an affirmation rather than an indulgent catharsis. Of course on a personal level a dancer may feel a cathartic release after having danced a particularly dramatic, tragic, or gleeful role. But I believe this catharsis is a consequence of the experience, not it's aim. REZ — Can you discuss the status of the Ron Protas situation? Are the School and Company more financially secure now, than during the period in which the legal matters and the Board were so entangled? 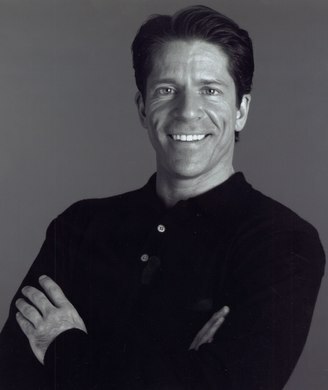 KT — In June 2000 the Martha Graham Center's Board of Trustees voted to dismiss Ron Protas from the Board of Trustees and to suspend all operations of the School, Company, and student Ensemble. Essentially all work stopped. All dancers, teachers, musicians, and administrative staff were instantly unemployed. In addition, hundreds of Graham School students were suddenly without a school. In response, the dancers of the Martha Graham Company wanted to ensure that Martha Graham's dances would be preserved and performed at the highest possible standard. They created a boycott letter requesting that no one perform Martha Graham's work or lease any of her ballets from any party until the legal matters between the Center and Protas had been resolved. The letter was disseminated around the world and received thousands of signatures in support of the efforts to maintain the artistic integrity of Graham's work and to help secure it's continuation. Executive Director of the Martha Graham Center of Contemporary Dance, Marvin Preston, in cooperation with our Board of Trustees began mounting a legal team to fight what became a two-year battle. Ron Protas had tried to appropriate the intellectual property of Martha Graham to himself. In the summer of 2002, the legal ruling was made asserting that the Graham Center essentially has access to 180 of Martha Graham's 181 dances. The Center was also found to own all sets and costumes to Martha's ballets. Since the organization did not work for almost 2 years, it has gone into significant debt but has clear ownership of its assets. We are in the process of rebuilding our financial base and finding ways to generate significant revenue. The future for the Martha Graham Center which includes the School, Ensemble, and Company is looking brighter than ever. In January 2003 the School will be moving into brand new facilities at its original location of 316 East 63 St, and the Graham Company is now preparing for a New York Season at the Joyce Theater from January 21-February 2, 2003.